Adrian is no more. His past life has consumed him. The influence of Gregory Sutter and the weird Valgeroti demon cult is complete. Still, there are those who oppose him-in the past, in the present, and in the future. A resistance is rising against the Valgeroti. But Sutter is fearful of those who might send him back into the void. And when he is afraid, his thoughts turn bloody. 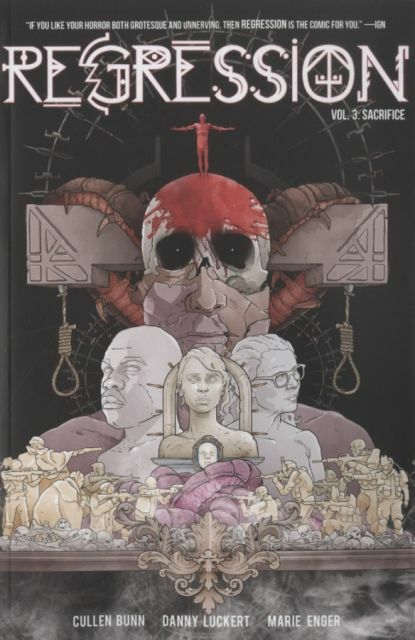 The final chapter of the mind-bending past-life horror story by CULLEN BUNN, DANNY LUCKERT, and MARIE ENGER started to unfold hundreds of years ago, but now it draws to a close.